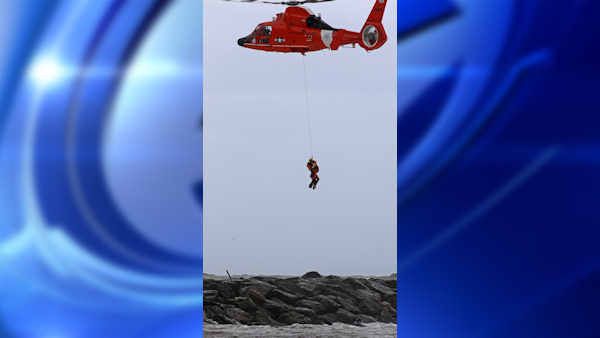 POINT PLEASANT (WABC) -- The Coast Guard rescued a man after a jet ski accident in Point Pleasant, New Jersey on Sunday. Chief Petty Officer Nicholas Ameen said the young man went out on a jet ski and got hit hard by a wave in the Manasquan Inlet. 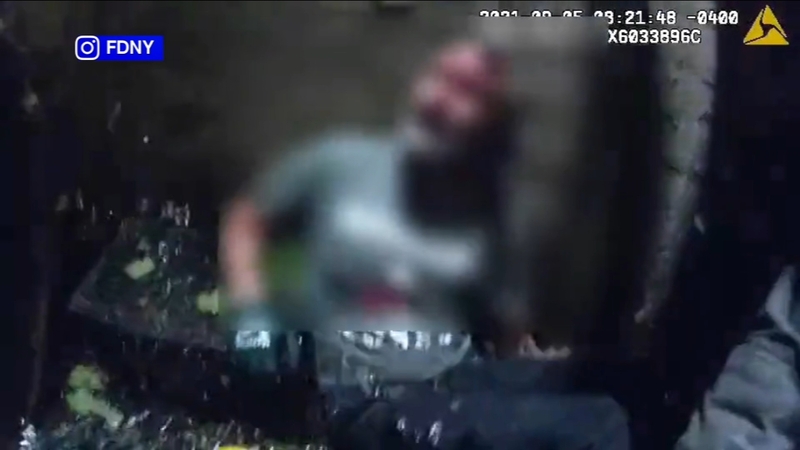 He was thrown into the water and his jet ski was thrown into the jetty. He was rescued by the Coast Guard and hoisted into their chopper. Ameen also tells ABC News the man was attended to by local EMS and his condition is unknown. A bystander shot video of the man riding his jet ski in the Manasquan inlet against strong waves before he was rescued.